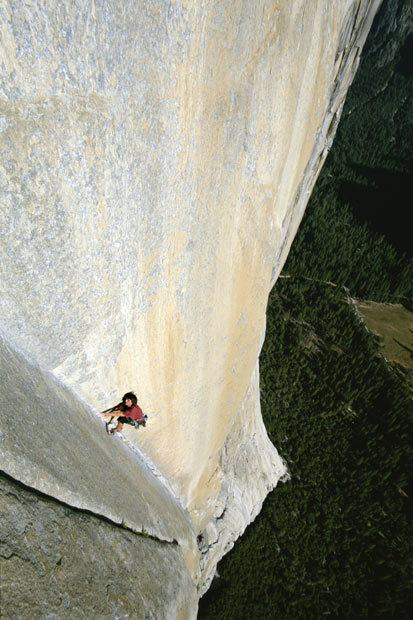 Climber Dean Potter scales El Capitan in Yosemite National Park, California. Dean says: "I'm addicted to the heightened awareness I get when there's a death consequence. My vision is sharper and I'm more sensitive to sounds, my sense of balance and the beauty all around me. A lot of my creativity comes from this nearly insane obsession. Something sparkles in my mind and then nothing else in life matters..."
Daredevil tourists dangle their legs over the edge of a dizzying 1,982ft tall cliff face. 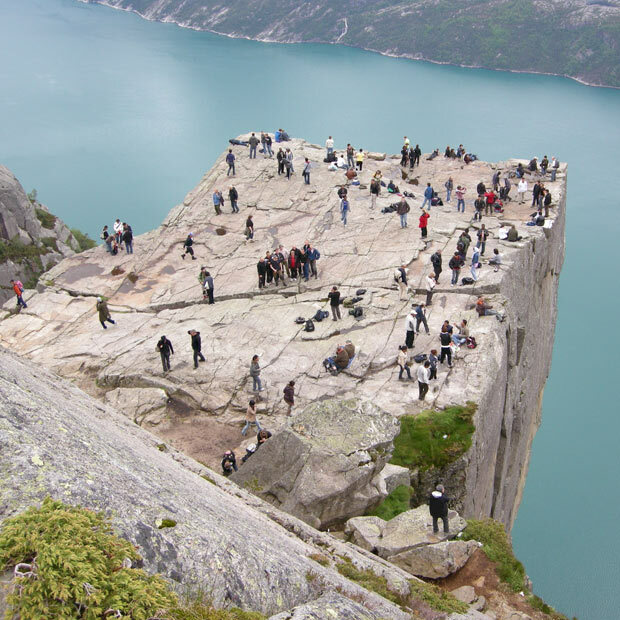 Brit Greg MacDonald took this picture at Pulpit Rock in Norway. The enormous cliff face attracts hundreds of thousands of thrill seekers each year. 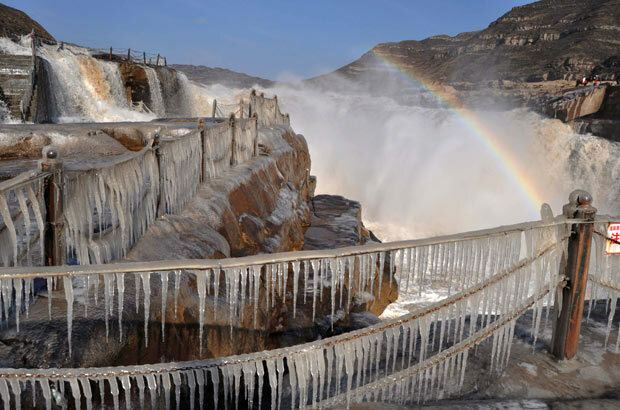 Many simply enjoy the stunning view from the plateau but the very brave stand and sit on the edge of the gigantic rock face. Guinness World Records adjudicator Rob Molloy and Dr Manoj Pahukar of Wockhardt hospital measure Jyoti Amge at a press conference in Nagpur, India. The 18-year-old was declared the shortest woman in the world, measuring 62.8 centimetres (24.7 inches) by the Guinness World Records. 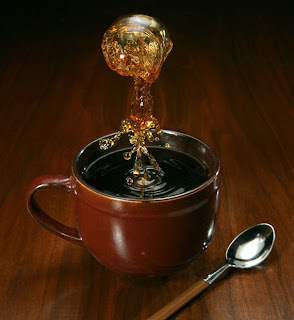 ...He says: "I have been working for over a year with this unique, self discovered method of suspending liquids into the air and capturing them with short duration flash lighting." He uses a Canon 1Ds MkII camera with a Canon 28-70 f2.8 lens at 50mm. He explains: "The shutter speed was set at 125, but because I was using high speed flash I just needed to trigger the lights while suppressing ambient light. I have used an infrared flash trigger at times but these are triggered more by eye and feel than with an electronic system." 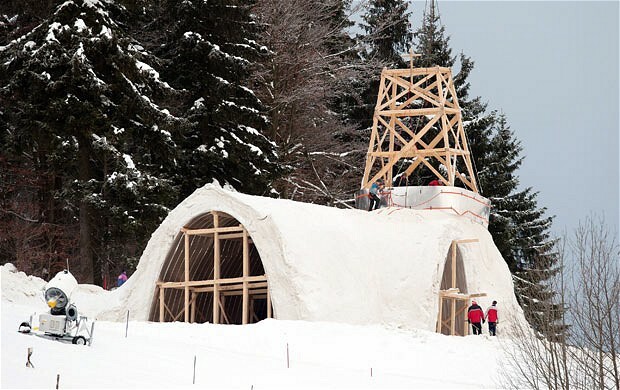 A church being built of snow in Mitterfirmiansreut, Bavaria, Germany. 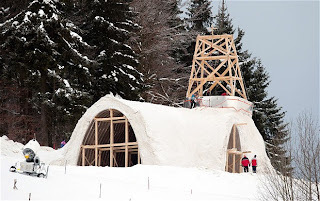 Around 1,100 tons of snow will be used to complete the church by the end of December. The church will measure 26 metres in length and 11 metres in width and will seat 190 people. Russian fishing vessel Sparta is seen in waters in the Ross Sea near Antarctica. The ship with 32 crew members is taking on water. 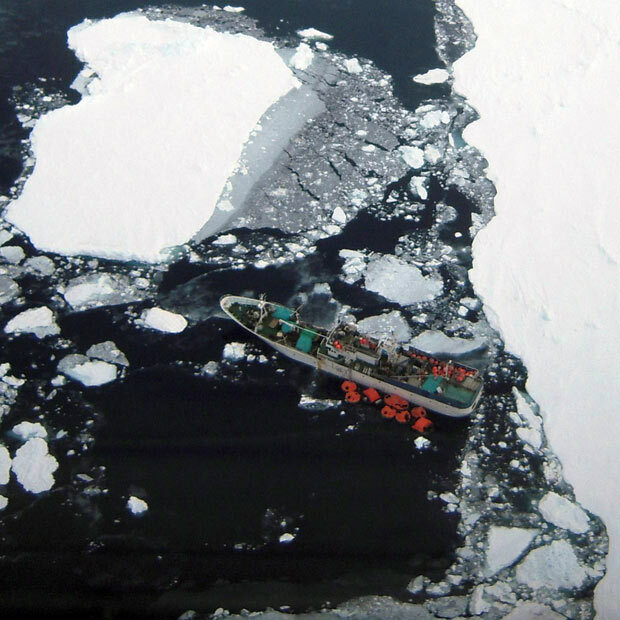 Heavy sea ice is hampering rescue efforts, and officials said it could be four or five days before anybody reaches the ship to try to rescue the crew. A Chinese university student has invented a robot that can play dozens of songs on an electronic organ. 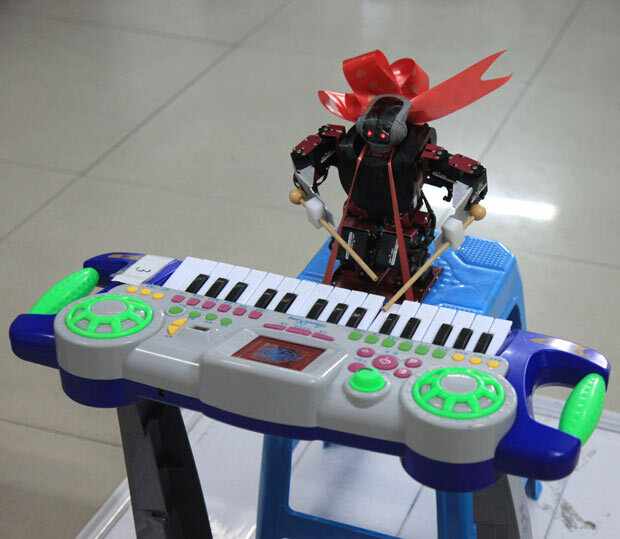 The robot keyboard player was invented by Meng Lin from Harbin Engineering University. Meng said it took her nearly a whole year working in the lab to invent the musical robot. She says the robot - called Hua Kui - recognises the white keys easier than the black keys so it'll be a bit of a challenge it to play more complex musical pieces. "Sometimes it will also make small mistakes, but in general it can finish a song with 98% accuracy," said Meng. The robot now can play dozens of songs, including Edelweiss.